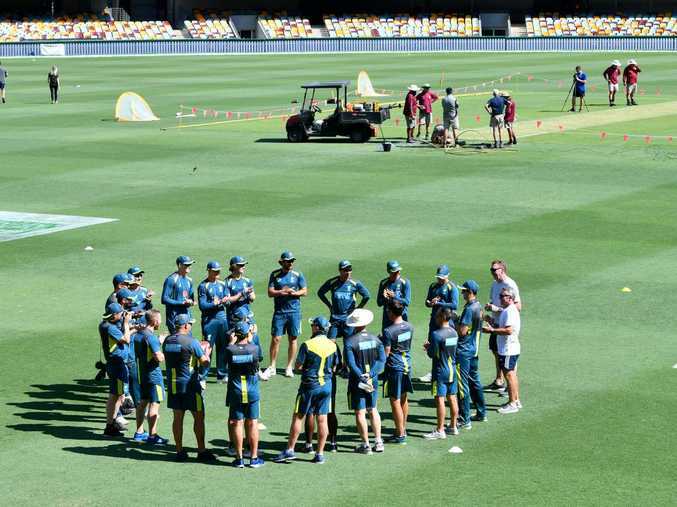 TIM Paine will hope to look down at the Gabba wicket before the toss for the series-opener against Sri Lanka on Thursday afternoon and breathe a sigh of relief. 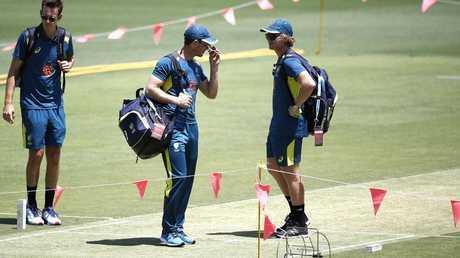 "I hope it's nice and fast, the usual sort of Gabba wicket," Paine said ahead of the day-night Test. There's a reason why Australia haven't been beaten at the Gabba in two decades. It traditionally suits their game perfectly, with plenty of pace and bounce to let their quicks torment touring batsmen while their own top order work comfortably off both the front and back foot. Kurtis Patterson, Will Pucovski and Tim Paine inspect the Gabba pitch.